Rigid construction provides a higher edge to network. Antennas are available in frequency range of 2.3 GHz, 2.4 GHz, 3.3 GHz, and 5.8 GHz. Application: These antennas are designed for point to point backhaul application for high data throughput. 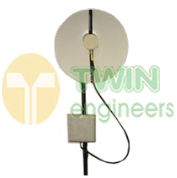 We offer High Performance 3.3GHz Full Parabolic Solid Dish Antennas. These dish antennas are designed for optimum performance & Data speed. The antennas also are available in 4.9 & 5.8 GHz Band. 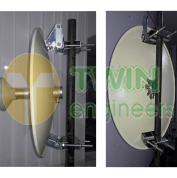 Application:The antennas are mainly used for Backhaul & CPE applications.